The floating wall shelves are made of MDF, with melamine laminated finish or spray painted. The unique mounting method enables you to install the shelf very easily and no screws, connectors, or tracks are visible. These wall mounted shelves are fixed to wall by firmly locked to bracket which in turn is sturdily locked to wall. 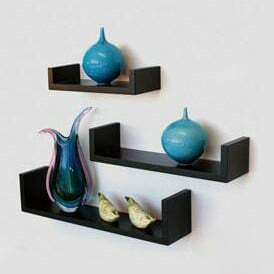 Unbelievable price on Wood Wall Floating Shelves in Shanghai (China) company Wellandwood Co., Ltd.